Through the exploration of biology, chemistry, physics, earth science and space science, students gain insight into how humans interact with and influence the delicate balance of life on Earth and throughout the universe. Integrated Science A introduces the world of chemistry. The course begins by introducing science and the basic methods and tools that scientists use to produce meaningful results. Students then explore the structure and properties of matter and how it changes in response to energy. Next, students practice reading and interpreting the information on the periodic table as well as chemical names, formulas, equations, and models. Students also discover the types and the properties of reactions, mixtures, solutions, acids, and bases. Finally, students examine both the scientific principles and the human applications of nuclear reactions. Throughout, students explore the historical perspectives and modern social implications of the course topics. Integrated Science B introduces the world of physics. The course starts out by building a foundation of what it means to be scientific by describing the ways scientists think, communicate, and do their jobs. Next, students cover important aspects of motion and force, including the motion of fluids and how motion relates to Newton’s laws. Building up from these fundamentals, students then explore the topics of thermodynamics, energy, work, and machines. The nature and properties of waves are covered next, and then the course ends by examining electricity and magnetism. Throughout the course, students parallel their investigation into the scientific method with a course project that introduces them to the field and processes of engineering. Biology A is one of two courses that explore life on Earth. The course focuses on life at the cellular level. Students begin by reviewing the scientific method, so they understand how science works to investigate questions and present findings. Then, it’s full speed ahead into cells! After a study of cells’ chemical makeup and size, students examine cell structures and how they function together. From there, students progress to how materials move through cells as well as how cells obtain and use energy to carry out their functions. One such function is cell division, which students examine in depth and use to segue into a study of genetics. As students learn about DNA and RNA, they come to understand how traits are inherited and how the study of inheritance is applied today. Biology B focuses on examining the bigger picture of life. The course begins by exploring early Earth, the basics of biochemistry, the origin of cells, and the evolution of species. The course then moves into a presentation of how different organisms are grouped and identified. In this presentation, the major groups of organisms are identified and described, and you examine one organism group in more detail as you explore the human body systems. Finally, students learn about ecology and human interaction with the environment. Throughout the course, you explore the historical perspectives and modern social implications of the course topics. This course is designed to give a foundation to students interested in a career in the health sciences. The major tissues, organs, and organ systems of the human body are described, as well as their contribution to the health of the individual. The risks and benefits of various behaviors are also evaluated in the light of their contribution or detraction from body functions. The human population on Earth continues to increase, raising concerns over the ability of the planet to accommodate its inhabitants. The impact that life has on the dynamic processes of Earth, a changeable planet, and its material cycling are studied in Environmental Science. In the coming years, Environmental Science will become a more important part of every human’s education to keep both the population and the planet in healthy balance with each other. NOTE: This course does not meet the lab science requirement. The plant and animal kingdoms may not be the majority of life on Earth, but they are the most interesting for humans. This course focuses on the comparative anatomy and physiology of multi-cellular organisms. The study of plants and animals, respectively called botany and zoology, gives an idea of the diversity of life on the planet. Chemistry A covers the basic principles and properties of matter. 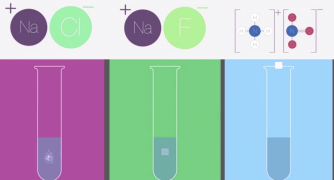 Students discover how chemistry has evolved, learn about chemical lab equipment, techniques, and safety, and explore the proper way to make measurements to reduce error and uncertainty. Students also explore atomic structure, periodic laws, types of bonding, chemical reactions, and stoichiometry. This course uses a multimedia format that includes text, videos, animations, interactive activities, labs, and group discussions. In self-check activities and quizzes, students practice what they learn and correct misconceptions or uncertainties before taking assessments. Students complete a unit exam and deliver a unit project in each unit. Chemistry B focuses on the energy involved in chemistry and the uses for several types of chemical reactions. Students begin by refreshing and deepening their understanding of the basics of matter and their relation to energy. Next, students explore the properties of solutions, including acids, bases, and their reactions. Then, students dive into thermodynamics, electrochemistry, organic chemistry, and finally nuclear chemistry. 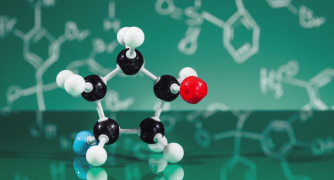 In this course, students develop a solid understanding of several universal scientific principles and learn to manipulate the applications of chemistry in real-world settings. This course uses a multimedia format that includes text, videos, animations, interactive activities, and group discussions. In self-check activities and quizzes, students practice what they learn and correct misconceptions or uncertainties before taking assessments. Students complete a unit exam and deliver a unit project in each unit. This course is a survey of the major themes of physical science including atomic theory, dynamics, energetics, thermodynamics, electricity, quantum mechanics, and particle physics. Interactive demonstrations and virtual labs allow the student to visualize and explore the laws and theories of physics. Scientific history, methods of exploration, and philosophy are also presented. This course surveys the major themes of physical science including atomic theory, dynamics, energetics, thermodynamics, electricity, quantum mechanics and particle physics. Interactive demonstrations and virtual labs allow the student to visualize and explore the laws and theories of physics. Scientific history, methods of exploration and philosophy are also presented. Physics B starts from classical physics and journeys to particle physics and modern electronics. Topics include the nature of light, wave motion, sound flow, optics, and electromagnetic fields. Students are introduced to Maxwell’s field theory, which laid the foundation for Einstein and Planck to explore relativity and quantum mechanics. A full year of Physics constitutes a lab science.